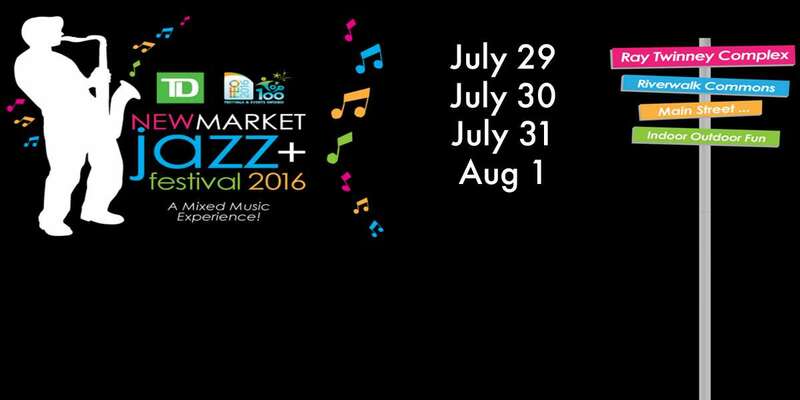 TD-Newmarket jazz+ Festival, one of Ontario’s Top 100 Festivals/Events, is proud to announce Grand Opening on Friday, July 29th at 5:30pm at Ray Twinney outdoor area – we love to call South Park! Opening Ceremonies are at 9:30pm inside the big beautiful Ray Twinney Arena One. We will be honoured by the presence of MP Kyle Peterson, MPP Chris Ballard on behalf of MPP Mahon and Celebrate Ontario, Mayor Tony Van Bynen and Lisa Knappett, Manager of TD Bank our major corporate sponsor. Join us in our new home at Ray Twinney Centre in Newmarket! Free Parking! Great Food, Beer/Wine Wonderful 100,000+ sq. foot outdoor area with live music from gates open to 9pm daily on St. Kitts & Blue Phoenix Stages. Fantastic headlining entertainers including Colin James, Lorne Lofsky, Rob Tardik, George St. Kitts, George Olliver, Brass Transit, Blackboard Blues and inside Arena 1 TD Stage 9pm -1am Fri/Sat/Sun.